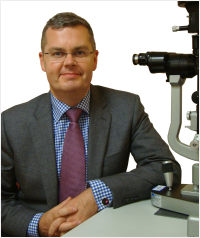 Welcome to the website of Mr John Brookes, Consultant Ophthalmic Surgeon at Moorfields Eye Hospital and Great Ormond Street Hospital for Children. Mr Brookes specialises in adult and paediatric glaucoma, cataract in children and adults and general ophthalmology. He is the director of the glaucoma service at Moorfields Eye Hospital and runs the childhood glaucoma service at Great Ormond Street Hospital for Children. If you have a question you would like to ask John Brookes about Ophthalmology and the various conditions or treatments available please click here. JL Brookes Ltd was set up in 2016 to provide bespoke, high quality, patient centered eye care to patients, in a comfortable, friendly and relaxed environment. Mr Brookes and his team are committed to quality, convenience and a personal approach to eye care.